Remember the Texas stem cell clinic Celltex, most famous for treating Texas Governor Rick Perry? Celltex had a busy few years, but has been relatively under the radar for most of 2013. Does that mean it’s gone? Hardly. The saga of Celltex became more serious when the FDA sent it a warning letter that was predicted by this blog. Celltex was, according to the FDA, manufacturing an unapproved stem cell drug. The FDA apparently told the business to stop treating patients in the US unless a number of issues were resolved. I’ve seen no indication in the public domain that the issues have been resolved up until now. As of July of this year the FDA told me that they were still investigating Celltex. Back at the time of the FDA letter, Celltex was having its partner RNL Bio process and amplify customer’s stem cells. Since then Celltex and RNL Bio have broken up and RNL Bio out of Seoul Korea has imploded for various reasons. What did Celltex do in response to the concerns of the FDA? At least in part they seemed to have headed south to Mexico to “avoid the long arm of the law” of the FDA, as some patients have put it, to continue selling their stem cell interventions to customers. American patients have self-reported this year about receiving stem cell interventions in Cancun from Celltex. For example, the group (update: note that some objected to my characterization of PFSC as “pro-Celltex so I have removed that–see comments section) that calls itself “Patients For Stem Cells” (or PFSC) posted on their Facebook page (above) about Celltex (also known as CellTex) continuing to sell stem cell interventions to Americans in Mexico. (update: PFSC folks told me that they also do not know why the thumbnail picture in their FB post was of a person self-immolating). Direct inquiries to the company about the situation have received no reply. However, the company gave a presentation at The Stem Cells and Regenerative Medicine Congress in October of this year indicating they had a presence in Mexico (see below). 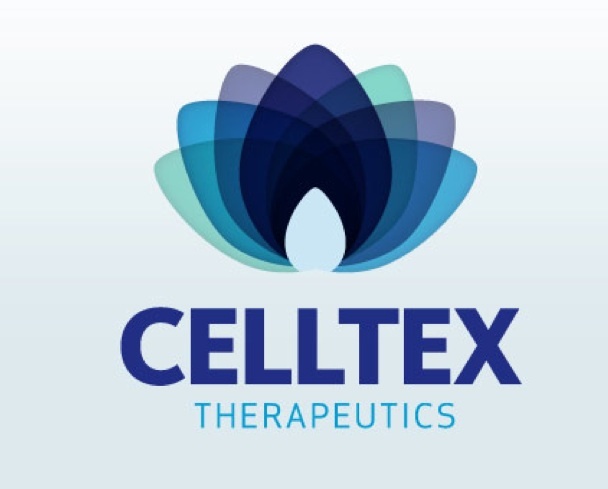 Rumor has it that Celltex may have opened up its own stem cell manufacturing laboratory back in Texas recently. Again, the company isn’t talking publicly. However, Celltex is advertising for a Cell Manufacturing Laboratory Technician. Also amongst its current Executive team, Celltex lists Hyeonggeun Park as Director of Manufacturing Laboratory and Dr. Jane S. Young, MD, PhD as Manufacturing Research Scientist. Could Celltex be preparing for a new skirmish in its battle with the FDA or a turn toward compliance? I hope it’s the latter, but it’s hard to know at this point. In principle, I think it’s a smart move for Celltex to have its own lab and not depend on a potentially sketchy separate manufacturing partner of some kind. However, does it have permission from the FDA to have and run its own biological drug manufacturing facility? Further, if Celltex is strictly treating American patients in Mexico and not in the US, but is producing the stem cell product from these people in Texas, how the heck is it exporting the human biological drugs (i.e. the stem cell product from its lab) to Mexico? Does it have FDA, CDC, and Customs permission for the export and is it paying the appropriate export fees that might apply? Who knows, but to the best of my knowledge one cannot legally just “wing it” and export a human stem cell product from the US to Mexico without government permission from multiple agencies. It seems to me that most likely we haven’t heard the last of Celltex or the FDA in regard to Celltex. I’m a member of Patients For Stem Cells. The group is not pro-CellTex, but was merely reporting this information. There are some members who have been treated there, but you are misguided to state that PFSC is pro CellTex or pro any other doctor or clinic. I am not sure why you would write something that has no basis in fact. It seems irresponsible. From my experience, some of the most vocal members of PFSC often seem preoccupied with publicly promoting Celltex and characterizing it as a victim of the FDA, at least in their statements on FB, Twitter and elsewhere. On Twitter in 2013 many of PFSC Tweets include “@CelltexCorp” or mention Celltex by name. On the PFSC FB page, Celltex is mentioned all over the place–far more than any other clinic or doctor. A large # of PFSC folks seem to be self-described former or current Celltex patients too. If you do not want PFSC to be specifically perceived as “pro-Celltex” then you might want to talk to the rest of the PFSC group members about that to see if you can get them onboard in terms of some focus and discipline in their public/social media output. I am a “vocal” member of PFSC and I do not advocate on behalf of CellTex. (Spelling?) Our members go to a wide variety of clinics around the world. We do not endorse any particular clinic; we share information from a wide variety of clinics. I challenge you to show ANY post written by me that endorses CellTex. You won’t find one because it does not exist. Claire, thanks for the comment. Perhaps you could tell me and my readers who exactly are the leaders of PFSC? It sure seems like there are people who invoke the name PFSC and talk a lot about Celltex. We don’t really have any “leaders.” We are a group of disabled, uncompensated volunteers who either have had, or are seeking to use our own stem cells to treat our medical conditions. We have no COIs. We interact with patients around the globe; we rejoice in their success stories and lament the treatment failures — some of which may be attributable to charlatans; once we know that, we share that info! Paul – I don’t believe a large number of PFSC members are patients or have been patients at CellTex. There are some members who are more vocal than others, due in large part to their enthusiasm for their life changing improvements after being treated with their own stem cells. A few of them were treated at CellTex. I guess they want to tell the world about it. Better than sitting at home doing nothing, deteriorating and dying. You also seem to blog a lot about CellTex.That doesn’t mean I should state you have it out for them, does it? I am glad you saw fit to remove that misinformation from this blog post. I don’t think it had any relevancy to the article anyway. Facts are always better than speculation. PFSC is not a pro CellTex group the way you would like your readers to believe. The misleading slant you put on our group calls into question your own agenda! Out of our hundreds of members, I can think of only 5 that have been treated at CellTex. Most of the members of our group have been treated in overseas clinics like Panama, Germany and India. It wouldn’t take a stem cell scientist to scroll down our FB page, LinkedIn group or Twitter feed to see that we report on stories from clinics, doctors, patient testimony, industry news etc., from all 4 corners of the earth! CellTex is probably one of the least we’ve reported on lately, because there just hasn’t been any news on them. So, let me set the record straight for you Mr. Knoepfler. PFSC represents the right for all patients to receive their own stem cells in the United States of America. I understand you may find it hard to believe that we don’t have some type of COI. Let me set the record straight on that one as well. We’ve been approached numerous times by clinics and companies right here on LinkedIn, who see we are making a difference. We’ve told them NO every single time! We didn’t form this group to represent a company or a clinic. We represent ourselves, and all the millions of other patients who should have a right to be treated with their own stem cells, in their own country. I realize that you have an awesomely successful stem cell blog, but in that, must come some responsibility to what you write. What if we posted that you must be pro Cell Surgical Network just because you wrote a blog piece on Drs. Elliot Lander and Mark Berman. I don’t see a whole lot of difference in the assumption. The CellTex article that we posted way back on May 31st., was an actual news article, not some opinion piece. The caption we wrote states facts not fiction…When you copied and pasted that article at that time, that was the picture that came up. We all thought that was an odd picture too, so you are not alone in your thinking! It was actually from another story not even connected to CellTex. Go figure?! So there…I cleared that up for you! Now you don’t have to insinuate that we did that on purpose for some bizarre, outlandish reason. Rather than make incorrect insinuations about PFSC, why don’t you just ask us in person. Communication is the key to bridging gaps. I have now included an update to my previous “pro-Celltex” verbiage, which I removed, indicating that some take issue with that characterization and I direct readers to the comments here. I also clarified that the self-immolation image thing was a mystery to both of us. I’d like to learn more about PFSC. Thanks Paul. I really do appreciate it. I’d love for you to learn more about PFSC. I’d be happy to visit with you at any time. I think you might be pleasantly surprised! It really is a great group of passionate advocates! Why are you attacking patient advocates? That’s a new low even for you…shame on you! Paul, now you are the social media police too? Why so much commentary from Celltex patients? Maybe because we’re excited about our results? Speaking of discipline and objectivity, maybe try a little yourself, it doesn’t take much of a gumshoe to check the Celltex home page, you missed the fact they just announced their first US clinical trial, with Baylor College of Medicine. Celltex is in discussions with Dr. Mohit Khera, MD, Assistant Professor at the Scott Department of Urology at the Baylor College of Medicine, regarding his clinical trial that focuses on stem cells and testosterone. He is currently working with the Food and Drug Administration to obtain approval for this study. In this study, he will give men testosterone and their own stem cells for over one year and then assess changes in the aging process, such as muscle mass, bone formation, cognition, sexual function, and nerve regeneration and growth. Dr. Khera has already raised over half of the $1.5 million needed to initiate the project. For more information, please contact us. Ha! I’m no social media police. I do follow stem cell issues in social media as time permits. If people or organizations do not want their social media statements to be read and written about by others then perhaps they should reconsider making certain statements in the public domain of social media. That’s the thing about social media like Twitter, it is inherently “social”. I’m certainly not telling anyone what to say or not to say on Twitter for example or FB, but at the same time people should keep in mind that others will in fact read stuff that they put up and on occasion they may even comment about it as I do. I did see the clinical trial “announcement” from Celltex, but it seemed very preliminary as it is a “discussion” about an as yet unapproved clinical trial. I still think it is interesting and we’ll see what develops. I would be willing to chat with you at your convenience RE: PFSC. You have my e-address. Dear Paul and Passionate commenters…. The service that this blog and Paul provide is known the world over. I hope you appreciate its value. Even this little heated discussion about my friends at CellTex also provides the entire community with valuable information in a field desperate for the same. Paul without financial reward has independently opened up the lines of communications between the patients, the providers, and our government. I am sure Paul has a thick skin, and his pen has been brutally honest at times, but he does in fact provide an enormously valuable role in all our lives. I thank Paul for having the time to write, investigate and also the testicular fortitude to correct, engage and occasionally admit his errors. Let’s all continue to learn, pray for advancement in our science and always be kind to each other and let logic prevail.